2009 Few writers have immersed themselves in the world of the Kennedys as completely or successfully as C.David Heymann, whose Biographies of Jackie, Robert, John F.Kennedy Jr and Caroline together have sold millions of copies and have shed light on the private lives of the most prominent members of the iconic American family. Now he draws on more than two decades's worth of personal interviews, as well as previously unavailable reports and briefs from the Secret Service and the FBI, to create a complete picture of the relationship that existed between two of the most heralded figures of the twentieth century. Americans have long been fascinated by the rumored love affair between Jackie Kennedy and Bobby Kennedy. With "Bobby and Jackie" they will finally get more than a glimpse of the emotional and romantic connection. An open secret for decades among family insiders , their affair began as a result of their shared grief over the assassination of the president in 1963 and lasted until Bobby began his run for the Democratic presidential nomination in 1968. 1986 This biography records the ideological journey of Robert Kennedy from staunch McCarthyite and self-confessed social-problems illiterate to spokesman for the hopeless, helpless and voiceless. Last century has not seen a more remarkable reversal by a public figure. The authors interviewed scores of persons whose lives touched that of RFK and who supplied rare details and fresh stories. 2008 Award-winning photographer Bill Eppridge followed Kennedy for 'Life' magazine during his early campaign days in 1966, up his untimely death. His unprecedented access to the candidate resulted in dynamic images of the public Kennedy, as well as rare glimpses of private moments with his wife, children, friends and confidantes, many of which have never been published before. 2007 In this book, David Talbot sheds dramatic new light on the tumultuous inner life of the Kennedy presidency and its stunning aftermath. 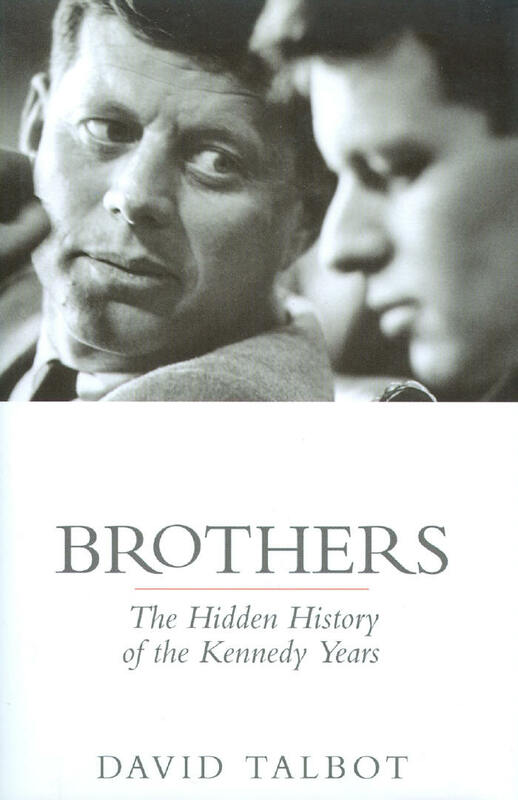 Based on interviews with more than 150 people -including many of the Kennedys' ageing "band of brothers" whose testimony here might be their final word on this epic political story - as well as newly released documents, 'Brothers' tells the compelling untold story of the Kennedy years. In January 1954, the handsome junior senator from Massachusetts and his glamorous wife moved into a three-story townhouse at 3321 Dent Place in Georgetown. Although they would live here for only 5 months, the house was their first home after their wedding. In May of that year, Orlando Suero, a photographer on his first major assignment, spent five days with the Kennedys.In more than 20 photo sessions, he documented a typical week in the young couple's life. During the evening of July 18,1969, Senator Edward Kennedy attended a private party on Chappaquiddick Island. He left the party with Mary Jo Kopechne some time between 111:15pm and 12:45am on July 1,1969. They drove toward an isolated beach, but never made it because Senator Kennedy's car went off the Dyke Bridge into Poucha Pond. He emerged alive and took almost 10 hrs to report the accident. Mary Jo did not escape from his submerged car and died sometime during the night. Her death has been the only certainty in the tragedy. History has seen few women so magical, so rare, that they captured the spirit and imagination of their times. Diana, Princess of Wales, and Jacqueline Kennedy Onassis were two of them. Their two lives have been well documented but never before compared. And never before examined in the context of their times. Author Lester David makes no attempt to glamorize Ethel Kennedy; rather he paints her as she was : her helter-skelter childhood in a household filled with children and love, wealth and faith; her education in the carefully controlled academies of the rich and Catholic; her marriage and the children she bore the man who might have been President of the United States. To everyone else, John F. Kennedt Jr may have been American royalty, but to RoseMarie Terenzio he was an entitled nuisance- and she wasn't afraid to let him know it. RoseMarie was his personal assistant, his publicist, and one of his closest confidantes during the last five years of his life. 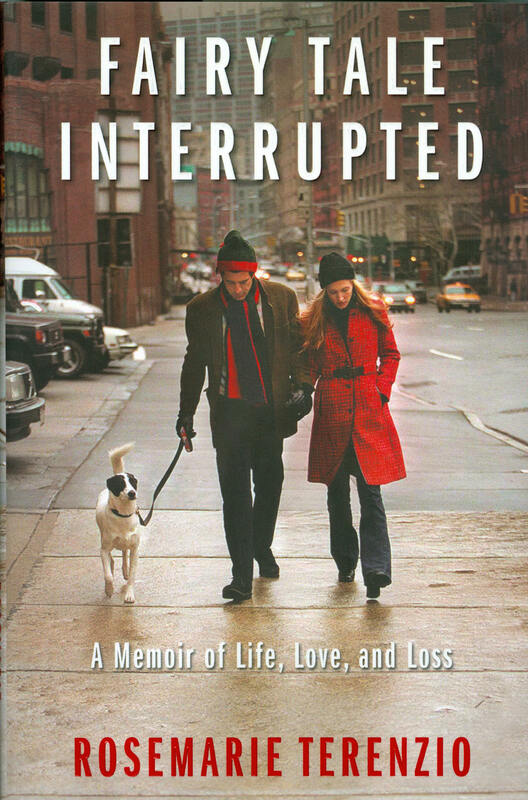 In this, her first memoir, she bravely recounts her own "Fairy Tale Interrupted", describing the unlikely friendship between a blue-collar girl from the Bronx and John F. Kennedy Jr. In November 1993, Jacqueline Kennedy Onassis took a tumble from her horse during a hunt in Virginia. A scarce six months later, on May 19,1994, this revered, fascinating woman of substance, style and steely will passed away in her Park Avenue home. 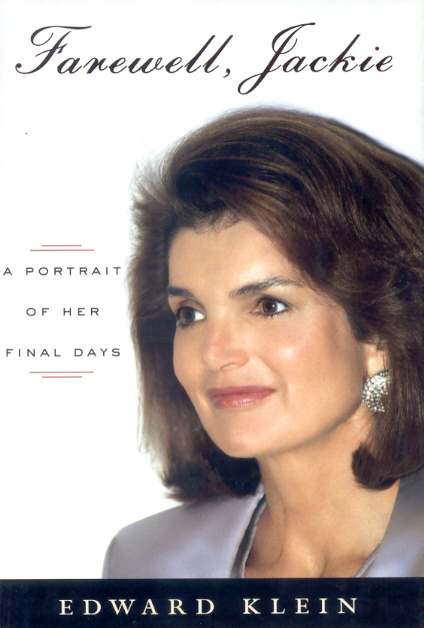 This book, by bestselling author Edward Klein - who knew Jackie for more than a dozen years- is the moving account of those last months and a celebration of the life of an American icon who faced death as she faced life - with all the bravery and grace of a woman who had long inspired the nation.